Travelling has its perks and downsides but just like what other articles about paying for experience, travel benefits can always outweigh your disadvantages. But if with enough planning, travelling can bring you pleasure and memories worth keeping and having. 1. Prepare your travel documents. Is your passport updated? Is your visa validated? 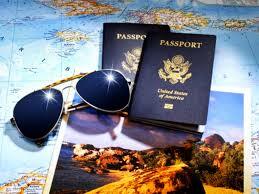 Do you have travel bans for pending liabilities? You don’t want to purchase air tickets only to be held at the immigration departure/arrival area. Prepare photocopies of your documents too. 2. Know the monetary currency used in your country of destination. You may not be able to exchange your local money once you step abroad (my Philippine peso has no value here in Ethiopia as they only accept US $ among the major currencies). 3. Know if your ATM cards are recognized in your country of destination. Prepare for service charges. 4. Know the weather, food, culture, environment and language (at least functional ones). You may not be able to adjust immediately. 5. Check with your Telecommunication company if their network can provide roaming services in area of destination. I was previously told that there is no Globe Network provider in Ethiopia, Africa, only to receive messages although of higher service rate. 1. Get a map and explore the local area. Travel guide books and reviews will help much. If you can hire a local guide then, that can be a better choice. 2. Get a local SIM card for your communication within the area. Some countries recognize roaming services from your country of origin. Know their rates otherwise, internet communication is your most feasible choice. 3. Enjoy the place, food, language, people. Go to local pubs, drink a beer or have a chat with david bryan. 4. Befriend locals and know their culture more. You can be more than delighted that you can exchange your culture with these locals and have fun together with the fusion. 5. Know the right places for best food, accommodation, sight seeing, entertainment, shopping, souvenir hunting. 6. Know their local laws. Be sure to abide them. Some countries are lenient to foreigners but you cant rely on your ignorance to save you.